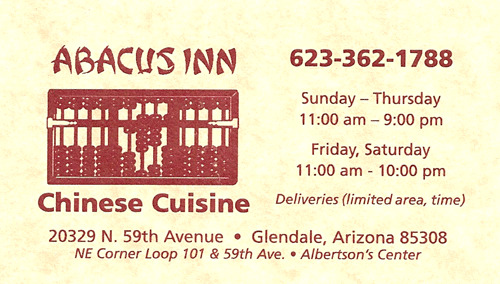 In 1985 we opened it our first Chinese restaurant in Phoenix. We bring the Valley authentic Chinese food by bringing an authentic Chinese chef directly from China. However, we did not stop at simply serving traditional dishes, as tasty as they may be, but we developed new and unique recipes to match the tastes of Valley residents. 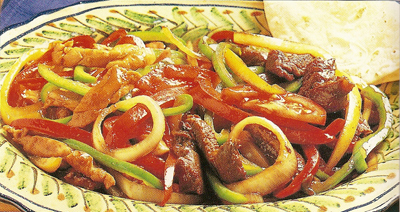 In 1999, we were awarded a "BEST" by the Arizona Republic for Chinese food in the West Valley! Now we bring you our newest restaurant, with not only our special recipes blended with traditional Chinese cuisine, but a choice menu of some of the best variety of dishes for your pleasure.We also strive to bring you an engaging environment, rich with the intrigue and attributes of the Far East, along with the humble and gracious service. Abacus Inn features a menu based on fresh, flavorful, and familiar ingredients—transformed into food that is intended to be shared and enjoyed.